Imogen's Typewriter. 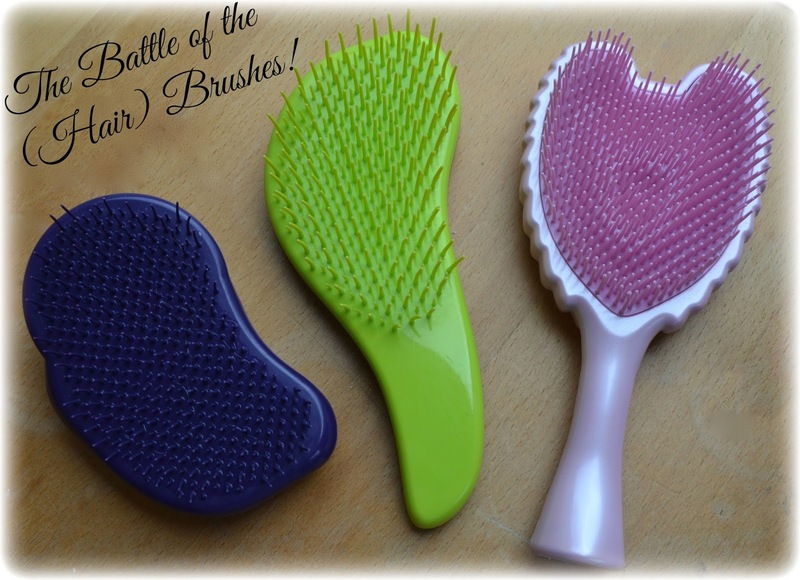 : The Battle of the (Hair)Brushes! Tangle Teezers, No Tangles, Tangle Angels. When it comes to these detangling hair brushes that are everywhere it's hard to know which one is the right one for you and your hair type, so I thought I'd do a little comparison post of the three I've tried that are all around the same price range. So let's see how these three compare, shall we? Now I bought this so long ago. It was literally in my first haul on my old blog which means this baby has lasted over two years and is still going strong! It was my first try with detangling brushes and left me liking them, but not loving them. I stuck with it though and kept using it until I was presented with something better. My main problem with the Tangle Teezers is the shape, it doesn't fit my hand comfortably and the design of it lets in water and lets out water all over laptops sometimes which was fixed with the Aqua version but I just want a handle on my hairbrush, call me old fashioned. 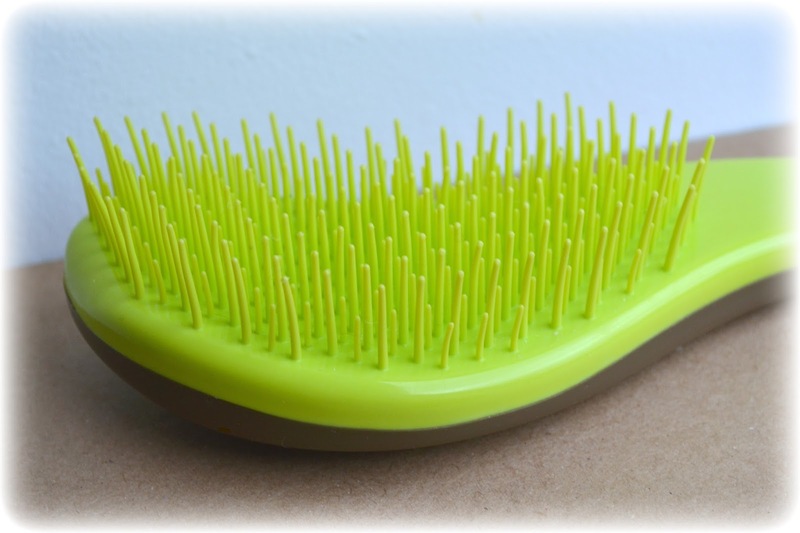 It detangles fine, and I think it's really good for people with normal to thick because the bristles are quite long and firm. These are found at Boots and they have a variety of colours you can check out here ranging from about £10.99 to £12.49. My personal favourite! This is the best of the three for me, it has a handle and long sturdy bristles for my thick hair. It's solid but the lightest which means no tired-brushing-arm, and comes in my favourite colour- green. It can get through wet and dry hair with no problem and is the only one I reach for these days. It's only downfall is that the name which was on the back, rubbed off after continued use but that really doesn't matter. These are on Look Fantastic and come in the Green/Brown version I have with a 10ml of oil for £14.25 here and a bright pink for £9.95 here. Now I'll admit, when I first saw this I was like- wow. It's a pink angel shaped brush, which isn't quite to my taste but I have a friend who loved the look of it so that just shows that taste is subjective. But I wasn't a fan of this brush, the bristles were just a little too flimsy and a little too short for my hair which is slightly on the thicker side and wavy, it just couldn't reach all my hair. Although I did love that it had a handle. 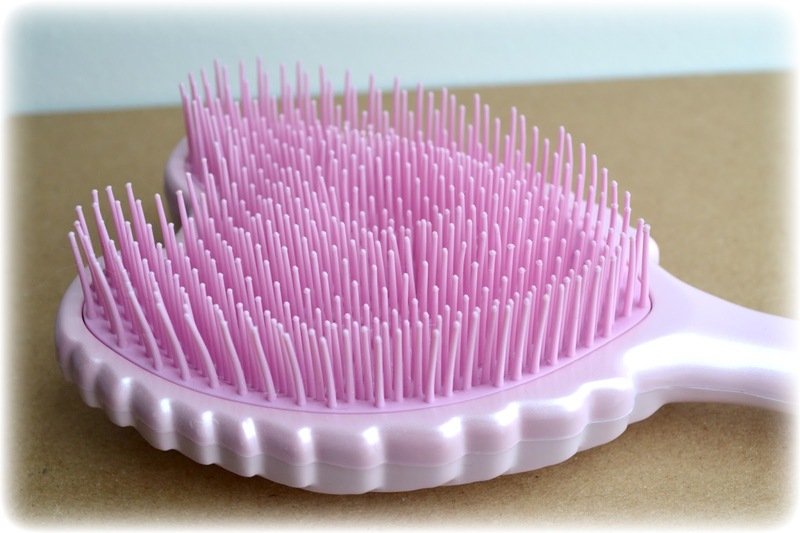 This would be great for kids, I hated having my hair brushed when I was little but if my brush was kind on my hair which this is, and shaped like a pink angel I think I would've sat down and been quiet. 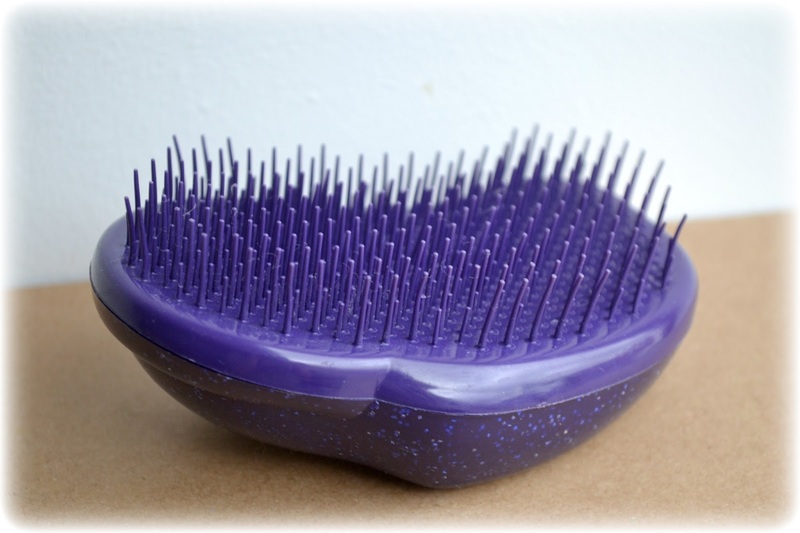 These are found at Look Fantastic in a assortment of colours for all your angel shaped hairbrush needs here around the price of £9.95 to £12.95. So in conclusion, The Tangle Teezer might be easier to find in stores and preferable if you prefer a hand-held brush, but I'd recommend The Macadamia No Tangle Brush especially with it being on sale right now, but if you have thinner hair or kids then The Tangle Angel might be a good choice! The Tangle Angel** was a PR product. The Macadamia No Tangle Brush* was received at an event. This has not changed my opinion on either product and I am not obliged to show them on my blog.